We provided the Carers Choice Service offering carers an opportunity to have a short break from caring, through a Volunteer Befriender. 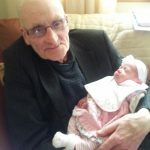 Allowing them to spend time with their cared for person (patient) at home. 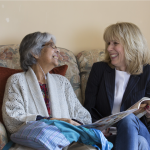 Carers were offered a choice of accessing Hospice based therapies and support or using the time to catch up with family or friends, or alternatively accessing leisure and recreational activities. 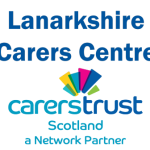 We provided grants directly to carers who live in North and South Lanarkshire to plan and pay for a break of their choice. 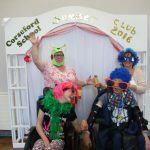 We held a very successful summer club over 10 days in July 2016 which benefited carers of members of Ashcraig Former Pupils Club, an organisation which provides a safe social environment for young adults with physical/visual disabilities. Members took part in a variety of activities such as art projects, sport and relaxation techniques. We provided grants directly to carers who care for an adult with serious mental health problems or mental illness, living in Scotland. We organised a small programme of Short Breaks (Family Days and Residentials) for Carers and those being Cared For, from the Gypsy/Traveller Community. To support the continuation of a fully managed, all-inclusive annual multi-sport, pan-disability residential sports camp held at Badaguish Activity Centre. 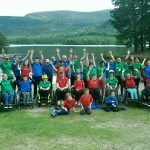 The camps are three days long, very positive and intensive for participants and a great chance for carer respite sustained through increased activity. Demand for the camps is growing and we cannot expand places or provide additional equipment. We provided daily music sessions for three weeks in the summer holidays for children aged 5-13 who have Autism Spectrum Disorder. Participants chose to either attend a group session or an individual session.